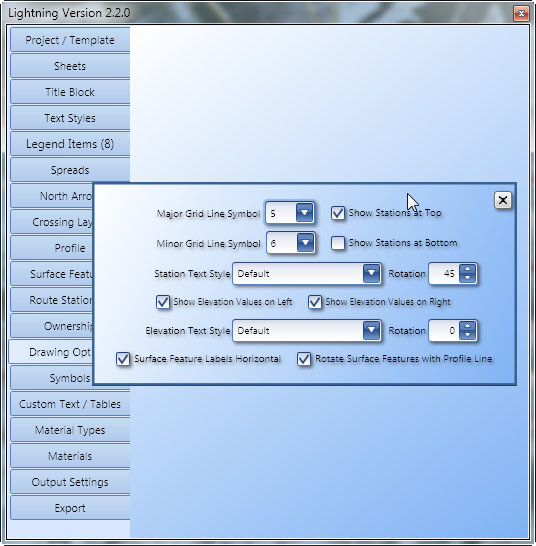 Blue Sky's Lightning makes alignment sheets in Arc fast and easy. See videos and screenshots of Lightning here. 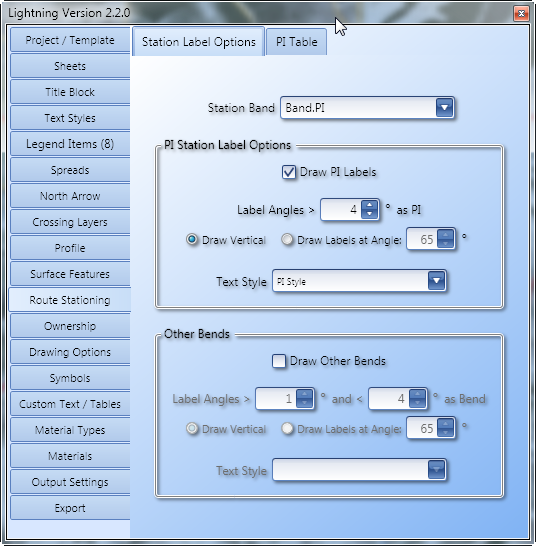 LIGHTNING produces alignment sheets in Arc faster and easier than any tool before it. The intuitively designed interface guides the user through the step-by-step process, and the powerful collection of tools makes LIGHTNING ideal for design, construction, as-built and maintenance. Powerful features like Smart Tiles, Multiple Surfaces, and the Template Wizard extension equip users to do more work in less time. 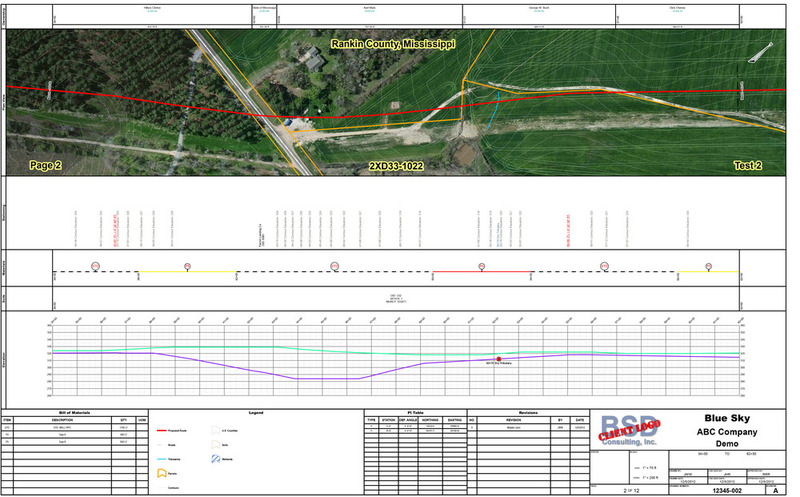 Looking for alignment sheets out of AutoCAD? Check out Skyline. Rotate, adjust widths, move up and down, combine tiles, delete tiles, and more. 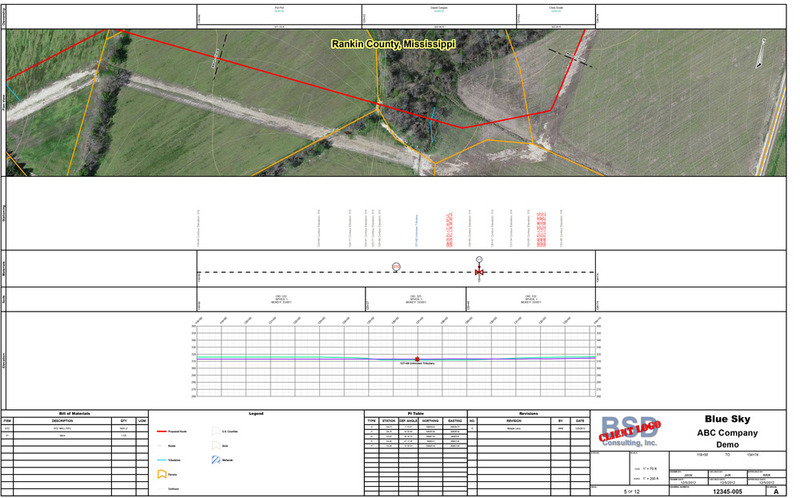 Software and services for the pipeline industry including alignment sheet generation software, data management tools, pipeline project management consulting and more.